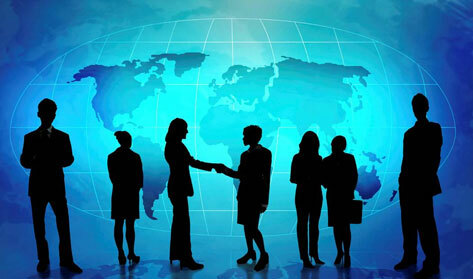 Social Networks, Teleconferencing, and anywhere that technology opens new challenges in Collaberation. We have been talking for years about the need for—and the challenges associated with—Collaboration. I have several customers—large multinationals and some very small internationals—for whom collaboration is at the very core of what they do. To them, doing business in another nation just means a longer ride; it’s not an intimidating hurdle, although there are obstacles in language, understanding, and perspectives. They are international rather than nationalistic in perspective, with focus on creating value for a set of customers. What we have realized is that when you set out to really make collaboration work, much more than ‘data sharing’ is at stake. 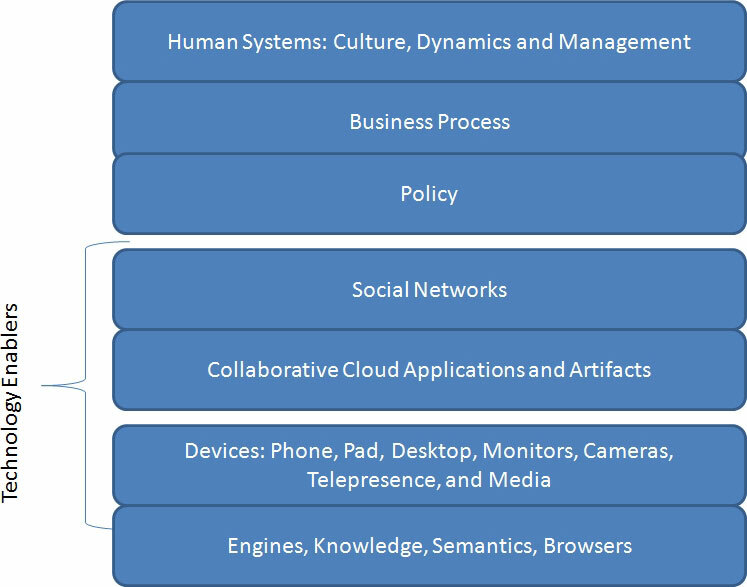 Although that is certainly part of it, a framework approach beyond the specific processes and applications is needed. Technology has to support different learning, communications, meeting and work styles, with an assumption to absorb, rather than project. There is so much to learn: to listen better, to feel comfortable expressing ideas, and then, ultimately, to turn ideas into an action plan, a product, or services. Collaboration has always been about people. Knowledge, Human Dynamics Management, Process Experience and Technology Innovation can make it successful. But people need frameworks and the ability to traverse organizations, culture, policies, rules, and firewalls to succeed. We shouldn’t undervalue the issues associated with people and the differences in how they learn: so-called right vs. left brain people, technologists or humanists; those skilled in the particular topic of the day or not; and their semantic orientation. A bit dense, I must admit, but some language jumps out at us: Transdisciplinary and integrative and primacy to the interrelationships. Before we break into singing, “It’s a new day, it’s a new life . . .” (YouTube of Michael Buble), we need to confront the obstacles associated with collaboration. In Figure 1, I offer a framework—a work in progress—of elements that need to be addressed in order to succeed at collaboration. Figure 1 - Framework of Elements to Succeed at Collaboration. Having briefly described some of the attributes of human systems, we will now present some of the policy issues associated with sharing. We have problems ahead of us in our global model and social-networked universe. So policy plays a vital role. What are we sharing—content, discussion, ideas? I recently read about the suit against Arianna Huffington and the Huffington Post. (This was discussed on the web and in Vanity Fair Magazine.) The gist is that over dinner, ideas for a new media company were discussed. Though subsequent conversation did take place, contracts were not signed, and some of the people in the conversation were not included in the actual ownership of the Huffington Post. As this case illustrates, there can be legal issues that result from informal sharing. Those familiar with “The Social Network,” i.e. Facebook and Facebook policy are also wondering about this. Sharing over media, not just over dinner, raises even more issues. Collaboration is, therefore, not just a Kumbayah state of mind, a great concept, but one that requires a structure and boundaries. Exploding with possibility, the social network scene has become the domain of dialogue, publishing, and private discourse. We are reaching diverse audiences through these networks. Some of us are trying to maintain some kind of structure around these communities—our cooking club vs. our business. But the social networks themselves are ever striving to create bigger and bigger databases of names and personal information by making it really easy to upload all your data from one network to the other. The result is ‘open groups’ to which anyone can advertise to en masse. So, are these social networks for collaborating on ideas, or have they become subscriber lists? I’ll let you be the judge. Recently, I participated in several threads that have been truly interesting: one on marketing, and one with a question posed by our group about supply chain planning. Both of these were strong on collaboration, since all the members shared real insights on a topic. In one case, the marketing group has taken the dialogue forward to Meetups, and has met in a peer-to-peer setting to continue the dialogue. This is the positive power of social networks: real learning, real creativity, and some genuine opportunities for implementation. I know, how can anyone get through a discussion without it? But beyond fad, we have been building our world on the web for a very long time. Whether in a micro-business in India or Africa or a high end consulting firm in Boston, the work is the people– whenever, wherever. Work is not a place. It is people forming dynamic work teams to achieve goals—personal, social and business. So, we need a global work space. So many applications rely on the web: retail, supply chain, marketing, logistics, education, legal, and medical. Most of these applications are web 1.0 flat applications, though. They project outward a singular vision, not a shared community. However, this is changing. Many of us use collaborative applications for design meetings, supply chain meetings and shared data and simulations. These activities will grow in number as we federate more of our work. As corporations ‘manage their labor pools’ and rely more on specialized services and consulting vs. full-time employees, they look for methods to assure high yield from these services. There is less supervision. 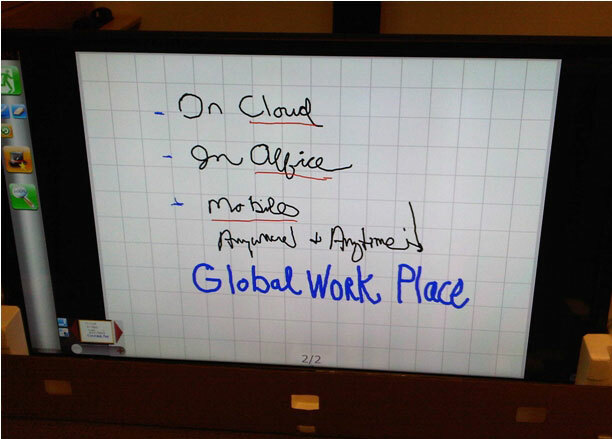 Therefore, people and their collaborative work teams need to be empowered with anywhere, anytime technologies. This is an ongoing topic. Suffice it to say, we know where we are going with this one. 4G networks, ultra cool and smaller devices, and touch technologies all demand that apps be designed for the multi-platform, inter-operable world. Here we have a bit of work to do. There are huge issues around formats, language and meaning (semantics), and structured and unstructured data. Large solution providers are currently leveraging many of these tools that have been in the marketplace for many years. The demand seems to be growing for analytics, translation, and multi-language tools that enable collaborative conversation. Part of the problem with frameworks, policies, and technology is the lack of spontaneity and, yes, creativity. That is why our technology enablers have to include a ‘live’ experience and the ability for people to have community and communicate across all media. Since I got my pen and pad I have been thinking more creatively, and my brain-storming video and web sessions with my clients have been more spontaneous and, I think, creative. We visualize and draw and can share the notes and hand drawings from meetings that take place over the web with participants from around the globe. This is just a simple example of how a change in work style and technology can lead to more spontaneity, vs. verbal discussions translated into the documentation which may become very stiff and formal. With formality, often we lose the gem within the original thought. I know that we need much more discussion on this topic. More than ten years into the ‘collaboration movement’ we are just beginning. With technology enablement, the barriers are coming down. However, organizations and society must tackle the issues associated with unfettered communication catalyzed by social networks. More on collaboration in Part Two. See also our Collaboration series.